West Coast Visions trading as Africa Origins, a BEE compliant organisation, specialises in supplying festive and Christmas crackers and party favours to the hospitality and corporate market sectors. All our Christmas crackers and most of our other products are manufactured in South Africa by small business enterprises employing the previously disadvantaged community. Our Christmas crackers are supplied in bulk and include a Christmas paper hat. 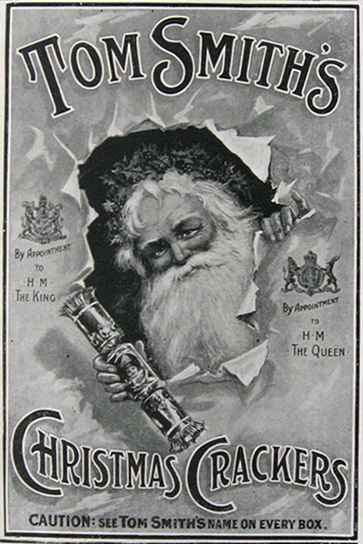 The pricing of our crackers include the specified Christmas gift filler and exclude RSA VAT. Pricing also includes delivery in South Africa, except on small quantities. The company is operated by a previous marketing director of a multinational company, who is committed to supplying quality products to the hospitality and corporate market sector. 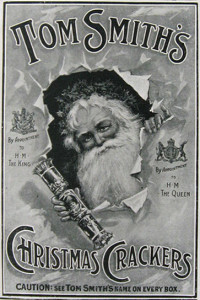 The Christmas cracker was invented by Tom Smith, an Englishman, in 1847, following a visit to Paris where he saw ‘bon bon’ sugared almonds wrapped in a tube of tissue paper. This was further developed by adding small love mottoes and later with the ‘cracking mechanism’, which was inspired by the crackle of a log when thrown on a fire. Different filler gift contents for the Xmas crackers were also added.